Nathan Sheldon is probably a lot like you. He enjoys spending time with his family, playing golf, enjoying the waters of Lake Wylie and lending a helping hand to make York County a better place to live. Nathan has been primarily practicing Family Law and Criminal Law in Rock Hill, South Carolina since 2008. He attended the College of Charleston, graduating with a dual degree in History and Philosophy in 2003. He then earned his Juris Doctorate from the University of South Carolina in 2006. After being admitted to practice law in South Carolina, he began his legal career as an Assistant Solicitor for the Fourth Judicial Circuit. During his time at the Solicitor’s office, he prosecuted many different types of criminal cases, from misdemeanors to felonies. From this experience, he brings an understanding of how prosecution works and uses this knowledge to craft appropriate defense strategies in criminal cases. His experience as a defense attorney includes defending clients against murder, criminal sexual conduct, armed robbery, drug charges, DUI and other criminal offenses. 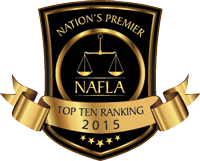 Nathan is a member of the South Carolina Association of Criminal Defense Lawyers. 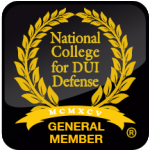 He is also a member of the National College for DUI Defense. In addition to criminal defense, Nathan is experienced in Family Court. In 2015, he was named one of the Top 10 Family Law Attorneys under 40 in South Carolina by The National Academy of Family Law Attorneys. Types of family law matters he has handled include divorce, child custody, child support and adoption. Nathan is a member of the South Carolina Bar Association and the York County Bar Association. He also currently coaches the Fort Mill Middle School and Nation Ford High School Mock Trial teams. In 2018, The South Carolina Bar Law Related Education (LRE) Division recognized Nathan as co-Lawyer of the Year for his work with the mock trial teams. His goal is to provide a different experience than most law firms. He looks forward to speaking with you about the specific circumstances of your personal need for representation. Contact Nathan today at 803-909-9343 for a consultation.